It’s vector doodling with doodles! express. . . Now FREE to try! Doodles! one-of-a-kind digital drawing experience gives you the power and control of vector drawing without sacrificing the look and feel of a "hand-drawn" line. With doodles! express, you get a taste of this experience, along with a new addition to the doodles! family of apps. . . the doodles! expo - our own sharing stream! 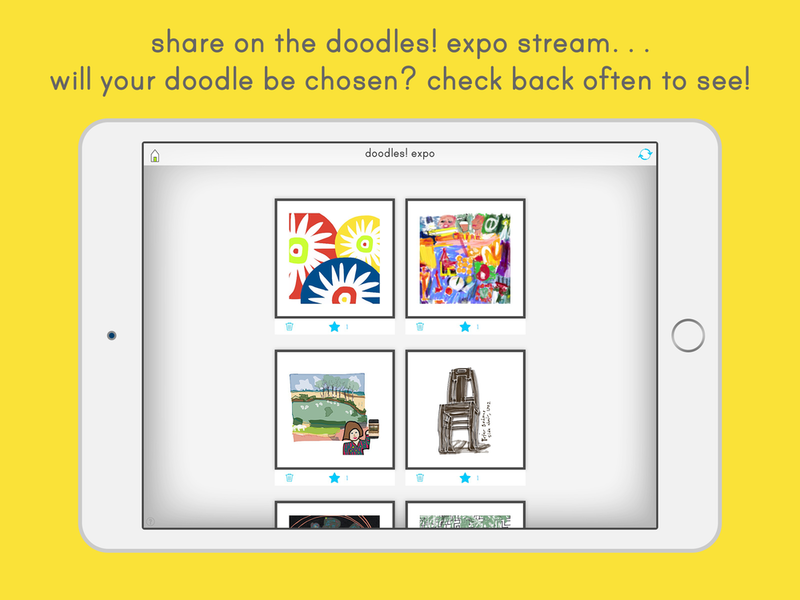 Post your friendly doodle to the expo, check back to see if it is featured, new doodles will be added daily. Show off your doodle selfies! Doodles! express comes with a fun set of people sprite stickers for your use and you always have access to your doodle sprite stickers created in the original doodles! app. Upgrade to get the ability to create your own sprites directly in doodles! express. The upgrade also removes the watermark from your exported drawings, provides unlimited pages, allows photos as backgrounds, along with enabling power select actions.